1.Why couldn't PDF2TXT extract all the pages from a PDF file? 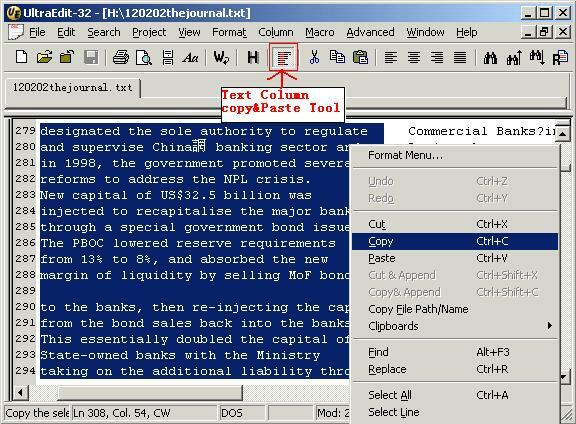 2.Does PDF2TXT need Adobe Acrobat or other software? 3.How can I extract text from multiple columns and maintain the column format in the output file? 4.Why couldn't PDF2TXT extract text from certain PDF files? 5.When using command line mode (via VB program), the resulting file pop's up in a notepad window; How can I turn this off? 6.When I process a PDF file, I get a number of blank spaces in the text. Is there a way to fix this? 7.Is there a maximum number of pages the full version will convert? i.e. Will 300 pages in PDF format convert to text? 8.How is the output formatted? 9.There have wrap text in generated text file, how to resolve this problem? 10.When I convert a PDF to text and the PDF file has multiple columns, I get the text back, it looks like multiple columns but it is really spaces between the columns, so to use the text it is very difficult because the amount of editing, how to resolve this problem? 11.I'm trying to run the following on the command line and the application starts up but no text file is generated, What am I doing wrong? >1.Why couldn't PDF2TXT extract all the pages from a PDF file? A: Because you are using a trial version. After you register it, you can extract all pages from the PDF file. >2. Does PDF2TXT need Adobe Acrobat or other software? A: PDF2TXT does NOT need Adobe Acrobat and other software. >3.How can I extract text from multiple columns and maintain the column format in the output file? A: Select the "Format Output Text" menu items from the shortcut menu. >4.Why couldn't PDF2TXT extract text from certain PDF files? 2.Your PDF file doesn't contain any text information, maybe your PDF file is an image-PDF file, you need use our PDFExtractTIFF software to extract pictures from your PDF file, and then use OCR software to recognize them. >5.When using command line mode (via VB program), the resulting file pop's up in a notepad window; How can I turn this off? A: When you run PDF2TXT software do NOT select the "Auto Open Result File" item in the shortcut menu. Refer to the following picture, then close the PDF2TXT software window. Now when you call PDF2TXT software from your VB program the notepad window will disappear. >6.When I process a PDF file, I get a number of blank spaces in the text. Is there a way to fix this? A: First, download our latest version of PDF2TXT and then try it. If that still doesn't work, you can set PDF2TXT to exclude the text layout in the generated text file (i.e. un-selecting the "Format Output Text" menu item), and then try it again. >7.Is there a maximum number of pages the full version will convert? i.e. Will 300 pages in PDF format convert to text? A: The trial version has a ten page limit, but the full version can extract all pages from a PDF file without limitation. >8.How is the output formatted? A: Output formatting means: you keep the original layout in the generated text file. This feature is fine for table PDF files. However, if you only want to extract text, you can un-select the "Format Output Text" menu item, but the generated file will have no page layout information. >9.There have wrap text in generated text file, how to resolve this problem? >10.When I convert a PDF to text and the PDF file has multiple columns, I get the text back, it looks like multiple columns but it is really spaces between the columns, so to use the text it is very difficult because the amount of editing, how to resolve this problem? >11.I'm trying to run the following on the command line and the application starts up but no text file is generated. What am I doing wrong???? Because your input filename contain a space, so you must use quotation mark (") to include the input filename.